Miguel Ochoa of Modesto has returned often to Mexico, where he was born, to see how his tequila was coming along. Just fine, it turns out, said Ochoa, who arranged to have the liquor made from agave plants grown on land his family has long owned in the state of Michoacán. 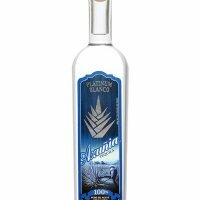 Ochoa, along with son Mike Ochoa of Patterson and Tom Hatfield of Modesto, has started selling the tequila in the United States under the Comisario and Zircon Azul labels. It's upper-end stuff - $32.99 for a bottle of Comisario at O'Brien's markets - because this is tequila done right, the partners said. The key is letting the agave grow for 10 to 12 years before harvesting it, Mike Ochoa said. "If you don't have enough sugars, you're not going to get a mature enough tequila," he said. The liquor is winning over patrons of Mike's Roadhouse in Modesto, one of the first stops for the rollout, owner Mike Nelson said. "It's a good product, and it fits well with the Roadhouse motif," he said during a visit from the Ochoas on Thursday. "I like it when the hometown guy does good."